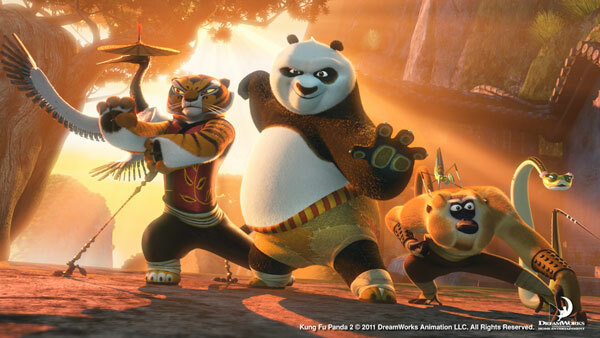 To be honest I have not even seen Kung Fu Panda, but I am sure Jack Black’s character is probably funny and my fav. For the DVD. Mr. Hong has the Kung Foo Panda 2 DVD to suprise the kids with! Lucky them. po is my favorite panda because he is so cool. Entry 2: My favorite Character is The dad. So cute and funny! PING! because not only is he perfect for this role but he is an all around good actor!....GOOOOOO PING!!!! Of course my favorite is Po. Kung Fu Panda Blu-Ray ...my fav is Mr. Ping!! The surprise is Kung Fu Panda 2 on DVD/BluRay. Loved it in the theaters, can’t wait to see it again! He has the Kung Fu Panda 2 DVD and,Blueray box. New Blu-ray DVD now available from a great Franchise!! fav character is praying mantis, of course! Mr. Ping is my favorite. I love his voice. Kung Fu Panda 2 on Blue Ray DVD by Dolby. The surprise for the children is The Kung Fu Panda 2 DVD/Blu-Ray Combo pack. Po! What a panda, what a friend! Shifu is my favorite character. Po of course. But, I have to admit that I like them all. My favorite character is Po because he’s so cute & I love Jack Black!!! He has the Kung Fu Panda Blu-Ray and DVD available on Dec. 13 (today). The surprise James Hong has for the children is a Kung Fu Panda 2 Blu-ray with dolby digital 7.1 surround sound. He had Kung Fu Panda 2 Blu-Ray with True Dolby HD! His surprise is Kung Fu Panda 2 on Blu-ray featuring Dolby. Favorite character is definitely Mantis! Kung Fu Panda 2 Blu-Ray. My favorite is Tigeris. She rocks (Girl Power). The surprise is Kung Fu Panda 2 DVD Blu-ray. A Blu Ray copy of Kung Fu Panda 2!! A Kung Fu Panda 2 DVD! He pulls out a Kung Fu Panda 2 DVD! He had the Kung Fu Panda 2 on Blu-Ray! And in Dolby Digital Surround SOund, no less! The Surprise is Kung Fu Panda 2 on Blue Ray with Dolby. Po is my favorite Kung Fu Panda character. The other members of the Furious Five and his teacher didn’t believe in him but he wouldn’t quit.